The Ti plant, originally called Ki, was brought to Hawaii when Polynesians voyaged to the Hawaiian Island. 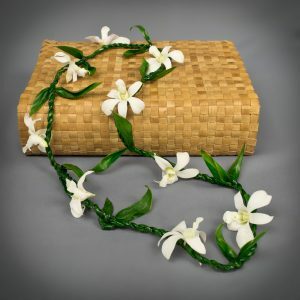 It was considered sacred to the Hawaiian God Lono and the goddess of Hula, Laka. 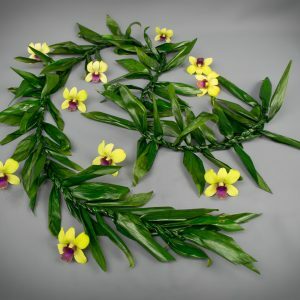 The ti plant is a diverse plant which the Hawaiians use from it’s leaves to it’s roots. 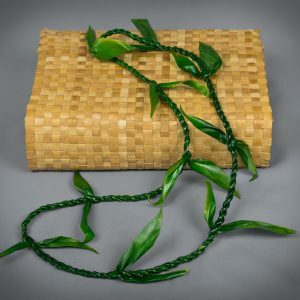 In ancient times, the Ki served as a material for clothing, rain gear,sandals, roof thatching, dinner plates, ceremonial activities, fishing lures and making okolehao, an alcoholic brew from the ti roots. In modern times, the cultural uses are many. 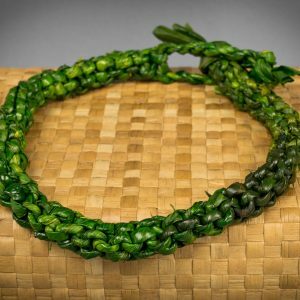 Most commonly used for lei making, if one receives a ti lei, he/she is adorned with wishes of good luck, good health and aloha. 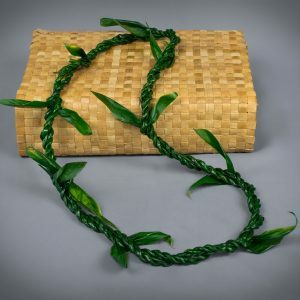 Other uses are medicinal for fevers, decongestants and healing, the leaves are used to wrap gifts, food for cooking, liners for dishes, hula skirts, and as a cover for the “imu” and underground oven. Kahunas and clergy use the leaf to sprinkle holy water to bless. 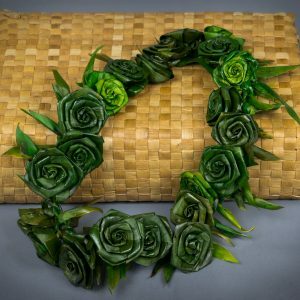 Leis are woven used to open new sites and buildings as well as gifted for any occasion from weddings to birthdays and graduations and more. 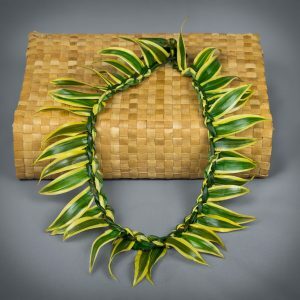 Here are a few styles of Ti leaf leis for your selection. Enjoy.